Record-breaking flooding is ravaging Nebraska, but you can help. Nebraska needs us. The same blizzard system that tore through Colorado has caused major flood damage in our neighboring state, affecting water supplies, homes, fields, livestock, and much more. Entire towns are trying to stay afloat, residents have lost everything, animals are stranded, and it is also calving season, so many farms are struggling to keep their animals alive and safe. One group, Colorado's Drive to Help Nebraska, has stepped up to help collect donations and more. "This [goal] is to help organize Colorado residents in supporting relief efforts to their Nebraska neighbors as a result of the 2019 flooding," said the group's Facebook page. This group is collecting donations March 30-31 from 9 a.m. to 12 p.m., at Reeds Southside Tavern, 9535 Park Meadows Drive in Lone Tree. They need a lot of potable water, non-perishable food and toiletries, and baby items. "Let's show our neighbors that they aren't forgotten. LET'S FILL THIS TRUCK! These supplies will go to the Cozad, Gibbon, and Wood River area directly into the hands of the flood victims," the group says. Learn more about the event on its Facebook page. If you would rather make a cash donation, please visit the American Red Cross website. The organization has sent not only supplies but also volunteers to help Nebraska and other states who are struggling, as well. 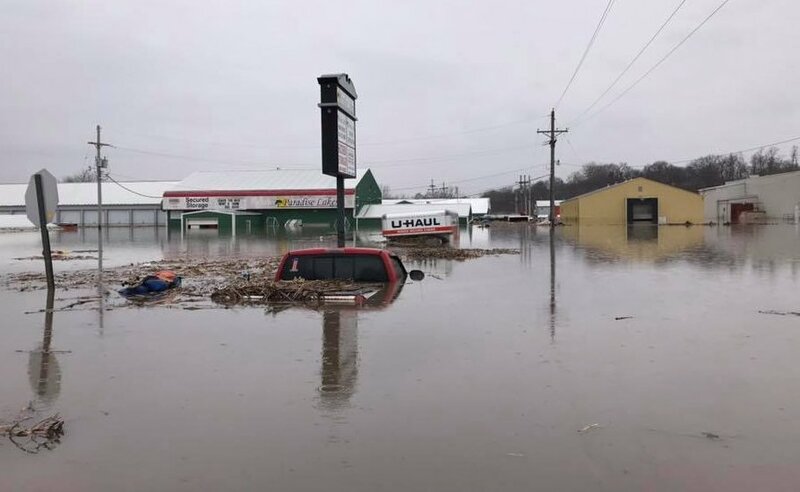 "As record flooding inundates the Midwest, we’re responding across seven states by opening shelters, providing food, relief supplies, as well as health and mental health services," the organization tweeted. The Mile High Red Cross has been sending clean-up kits with sponges, face masks, brooms, and more, as well as cots, sheltering material, and more. If someone you know needs to find a shelter or needs help due to the flooding, they can visit redcross.org/shelter, download the free Red Cross Emergency App or call 1-800-REDCROSS (1-800-733-2767). Avalanches are running at historic levels, and the season could extend into the spring.